If the first author of the accepted article is a full-time member of a WestJEM department subscription, there is a 15% reduced fee for an accepted article to CPC EM. This page allows authors with accepted CPC EM manuscripts to submit the article processing fee of $500 for articles accepted after January 1, 2018. This fee is only required for accepted manuscripts to CPC EM. There is no fee for editorials, nor is there a fee to submit an article. CPC EM is willing to waive the article processing fee after the article has been accepted for authors who come from low income or lower middle income countries on a case by case basis. Please contact sales@westjem.org if you believe you qualify for this fee waiver only after your article as been accepted. 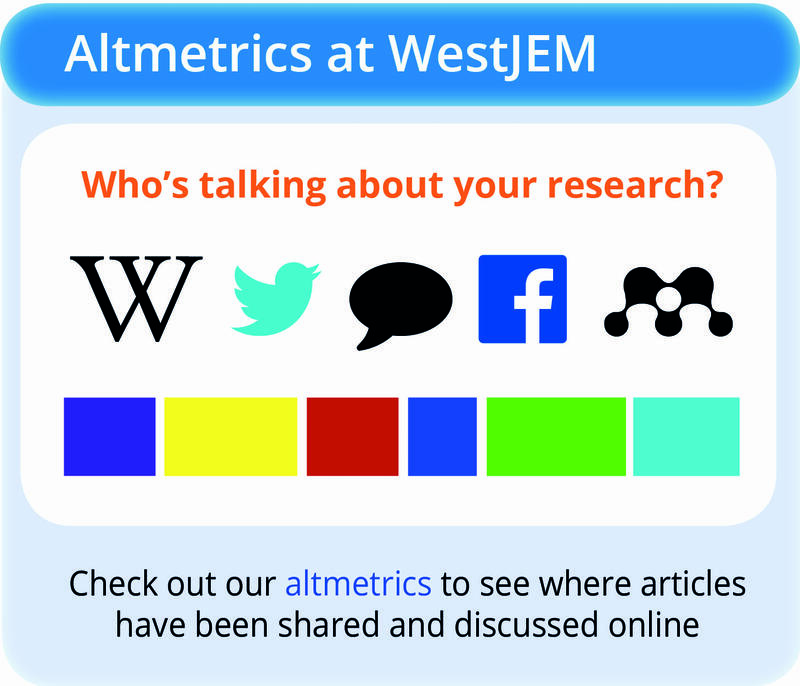 Additional benefits of becoming a faculty department subscription to WestJEM can be found here. If you would like to become a department subscriber click here. If you have any questions, please contact Alissa Fiorentino at sales@westjem.org or call 1-800-884-2236 and ask for WestJEM. Please click here for the article processing fee payment portal.